I've been meaning to tackle this topic for a while, and I was reminded of it again the other day when Andrew & Matt brought it up on their latest AM2 Podcast (great series, guys!). So anyway, let's get started. In Shenmue II, when Ryo arrives at the tiny riverside village of Langhuishan in Guilin, you may remember this optional conversation that he has with one of the three village boys on the wharf. Ryo decides to liven the mood with a light-hearted reply. You know, just your typical Japanese ogre look. This is not unsurprising, as Ryo is basing his story on Japanese folklore that, while instantly recognizable to Japanese children, would not have been familiar to a little boy in China. 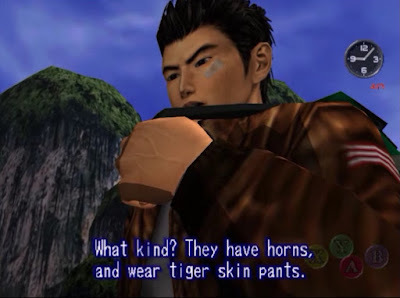 This is something that I've seen come up every now and again in Shenmue fan forums, so for any players who may still be scratching their heads about this interaction, let's look at the cultural background in this post. 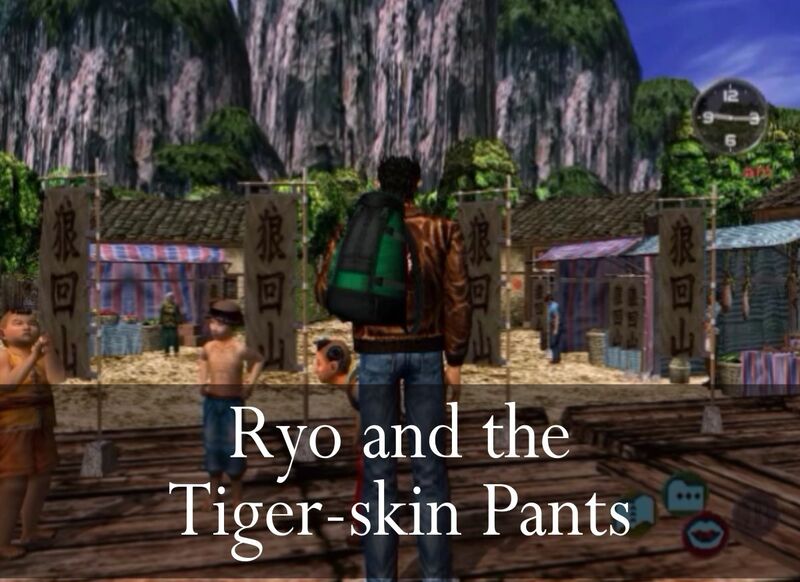 Acknowledgement: Thank you to Kiyuu of the Shenmue Dojo for her old forum post which served as the inspiration for this post. The Story of "Peach Boy"
Peach Boy (Momo Tarō) on his way to the island of Onigashima with his crew. His banner reads Nihon-ichi, "the best in Japan". Once upon a time, an old woman was washing clothes in the river, when a large peach came floating downstream towards her. On taking it home to her husband and cutting it open, to their delight out jumped a baby boy who they named "Peach Boy". Many years later, Peach Boy left home to fight a band of Oni (meaning demons, or ogres) who had been wreaking havoc on the surrounding villages. On the way to their island fort, he made friends with a talking dog, monkey and pheasant who agreed to join him on his quest. Arriving at the island, Peach Boy and his animal companions joined forces to fight the ogres, who surrendered. Peach Boy returned home victorious with a great many treasures. This is the children's tale to which Ryo is referring when he tells the boy that he is going to fight the ogres, in the same way that the brave Peach Boy set out to do. Unfortunately the implication is lost across cultures and the explanation falls flat. Ogres and demons in Japan feature quite commonly in folklore and children's stories. 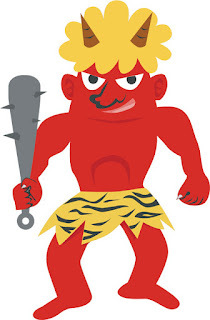 They are traditionally depicted as having red- or blue-colored skin, sharp conical horns on their head, wearing a loin-cloth made of tiger skin and carrying an iron club. Hold on a second... "a loin-cloth made of tiger skin"? 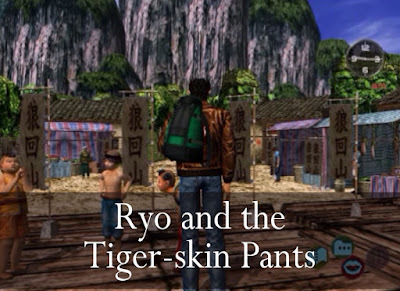 Yes - the reason why Ryo described his imaginary ogres as having "tiger skin pants" is because this is part of a Japanese ogre's "uniform"! At this point Ryo seems to realize his credibility is slipping away, has he mutters "I guess that must be only Japanese Ogres...". Fortunately he manages to win the kid round with a promise to bring him back some demon horns. 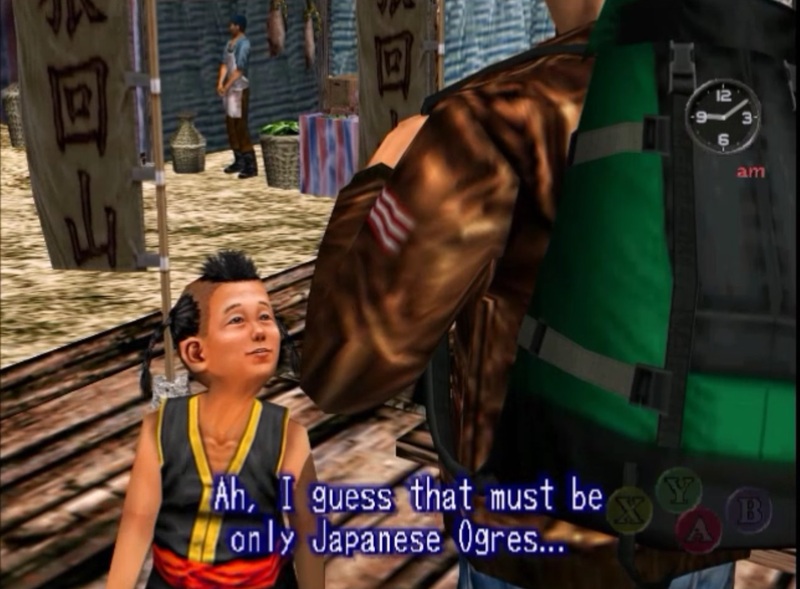 (In English he probably should have said ogre horns, but in Japanese an oni can mean either). Learned something new today. I absolutely love this blog! Shenmue HD cannot come soon enough. Cheers! 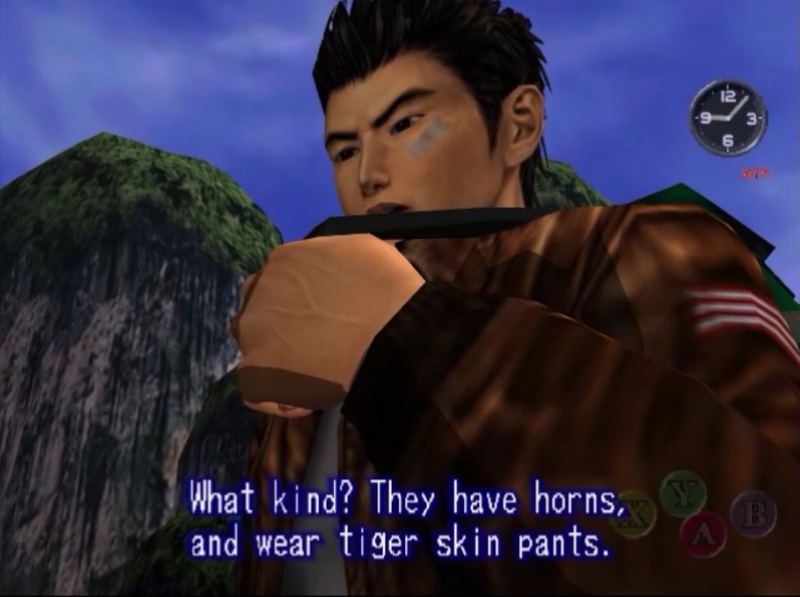 Yes, Sega has the chance to put itself in everyone's good books with a timely Shenmue HD release announcement. This update has actually inspired me to buy a book on Japanese folklore. Who knows what other cultural references may come up in future games. Haha, that's awesome. Another famous folk hero is Kintaro, his story is probably in your new book! Can you take a look at Tekken 5's Feng Wei ending? He uses an Iron Palm on a mountain in Guilin and then 'activates'/awakes his dragon side through a scroll. He does look like Lan Di (let's not forget Tekken and Virtua Fighter had some of the same members in the design team), and Lan Di could be (in a form of direct context to Chinese history and relation to mythology) be related to an Emperor, hence, having the dragon bloodline. Fascinating, I wasn't aware of this! It really does have a strong Shenmue vibe, and what's more was released just a few years after Shenmue II. The dragon sequence reminds me of the one summoned by Lan Di in the Shenmue Online trailer. :) It's fun hearing what aspects of the games can seem a little strange. After you live in Japan a while some of the cultural aspects don't seem so different / puzzling anymore! 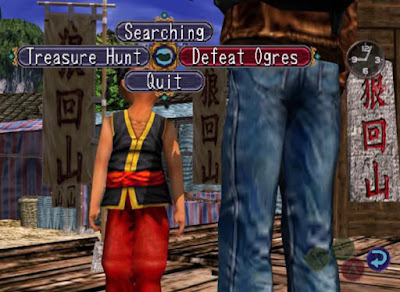 What's Shenmue (Famitsu Edition) is available from Retro Import Gamer. Click on image to view details. Contact retroimportgamer.com for 5% off all Buy It Now items. Switch lives in the Yokohama area of Japan where he keeps a wary eye out for suited men in black cars.